In yesterday’s devotional (click here to read), a familiar little bug was showcased. 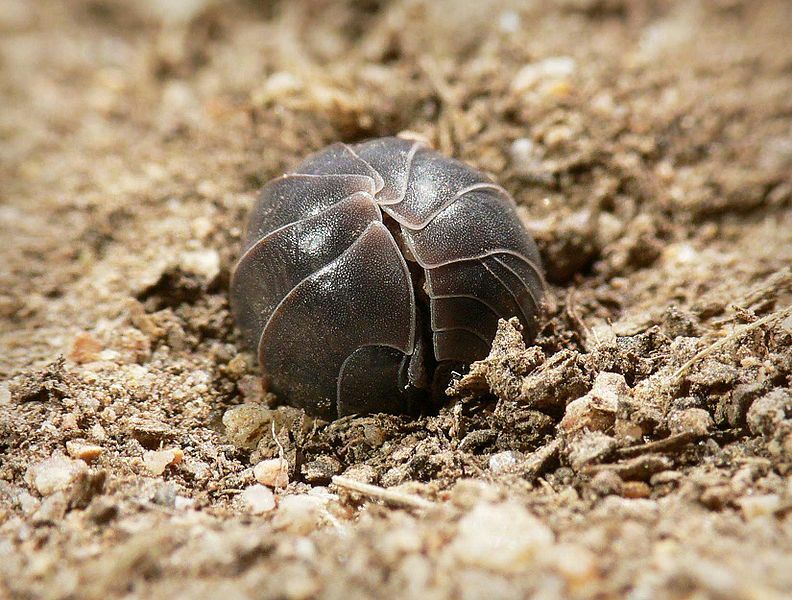 This little bug is known by some as a “Rollie-Pollie Bug”, and by others as a “Doodle Bug”. And God has given this little bug a little coat of armor. So then, when confronted by an assailant, this little bug simply curls up into a little ball, and is now totally protected by his coat of armor! 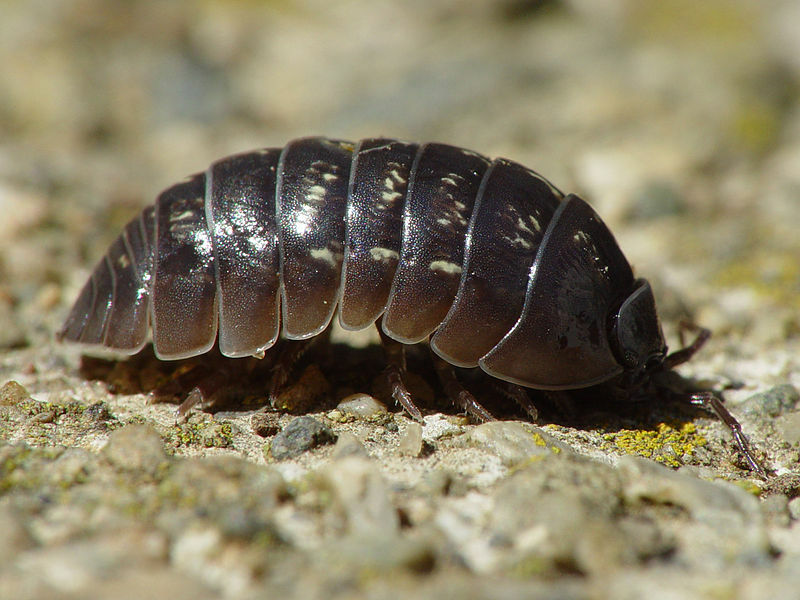 Well, yesterday, this little bug was used as a picture of how a Christian can all but curl up by his or her own self, and hide in God’s Secret Hiding Place. Yes, the Rollie Pollie bug has been created by God to give us encouragement to roll up with God, during our times of trouble! Now this curling up with God brings to mind a story which a radio minister of yesteryear told about somebody he knew who was an officer in the military. And as the story goes, this military officer, at times, had the unpleasant duty of having to attend parties at the Officer’s Club, in which drinking and other similar behavior was going on. And being a Christian, this officer did not participate in the less-than- wholesome activities. But he was nevertheless required to attend these occasions, and witness things that Christians are warned to flee from! Well, whether he knew it or not, this military man was being a “Rollie-Pollie Bug Christian”! When in such unwholesome circumstances, he just curled up in a little ball, so to speak, and got alone with God! Definitely a Rollie-Pollie Bug Christian! Now this radio teacher was not telling this story to encourage any Christians that it’s OK to go into drinking parties! No, if this officer had voluntarily gone, he would have had no blessing from God! But isn’t it true, that in this work-a-day world, there are many times when a Christian needs to just “pull down the shades and get alone with God?” Yes, just like that military man, we often find that we must curl up with God and hide ourselves from the corruption which often sweeps over us like a flood! There are so many times and places in this Babylonish world, that the Christian must curl up in a little ball, and let his or her shield of faith become the shell around them. Just like that little bug, with his coat of armor as a protection! Maybe in a store, when the magazines at the checkout isle are glamorizing sin and sinners, we might pull out our little pocket Testament and read a passage! Or when the air is filled with ungodly music at some place of business, we must roll up (figuratively), and begin silently praying! Or perhaps down at the office, the sights and sounds and all the ungodly conversations necessitate that we simply curl up into a little ball, and let our Christian armor and shield of faith protect us! Oh yes, when we attend such occasions, we can quietly attend, and be as light and accommodating as possible. Maybe we might find someone who is all by themselves, and go and converse, trying to make them feel at ease, as best we can. Or maybe we can help with the dishes, or some other task, attempting to relieve the workload of the host. In other words, there are ways in which we can let our light shine, and be the fragrance of Christ in some unpretentious way. All who are persecuted may find refuge and safety from Satan’s cruel hand. 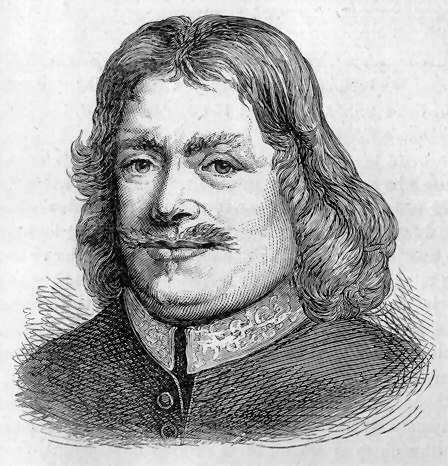 That world -shaking allegory, Pilgrim’s Progress by John Bunyan, picked up the theme of the Narrow Gate. The hero of the story was Christian, a man who was warned to flee from the City of Destruction (the world), and to embark on a journey to the Heavenly City. And along the way, Christian encountered many adventures and dangers. This first of its kind allegorical book absolutely rocked the western world, and became perhaps the first million seller book (along with the Bible). But God has also given this same Narrow Way parable in the night heavens! Incredible? Yes, incredible…and amazing too! And though these two stars can hardly be considered a constellation, but when sitting next to the two stars which comprise the Broad Gate, well, it makes a powerful statement, for the people of God. So please come along on this journey and find out just why this pathway graces the night heavens, and perhaps you might find yourself embarking on your own pilgrimage up that very same Narrow pathway. 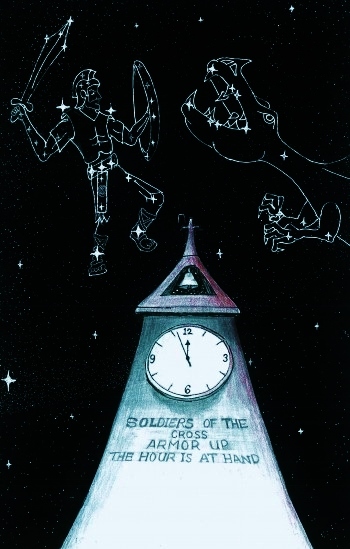 And at this point it is apparent that the Fleeing Woman of Revelation 12 Constellation is veering toward the two bright stars, known as Castor and Pollux (sketch to left). But the Wide Gate Stars are composed of the two brightest stars of the Auriga Constellation, known as the star, Capella, and the star, Menkalinan. The two stars, Castor and Pollux, make up the concept of the Orion’s Narrow Gate Stars. The sketch to left shows, the two doors are each composed of two bright stars. The two bright stars that comprise the Narrow Gate are the two brightest stars of the Orion the Reaper’s sickle. The two stars that comprise the ‘Wide Gate’ Stars are the two brightest stars of the wave of water that comes out of the Dragon Constellation’s mouth (for explanation of “Wave of Water”, just click here). 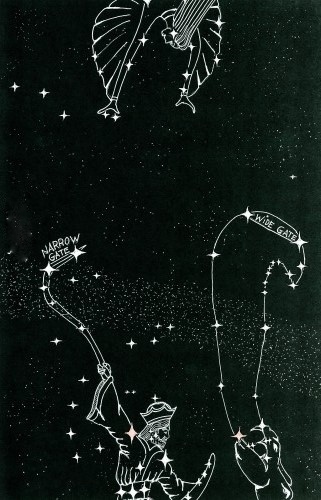 The stars that make up the ‘Narrow Gate’ are about half the width of the Wide Gate (see sketch below left).